If you are a car lover, then 2019 definitely has ample reasons for you to cheer up. A wide range of new cars are all set to be launched along with new models being re-launched by existing auto brands. The focus is increasingly on futuristic designs, fuel efficiency, electric cars and of course cars with the latest safety standards. In this feature, we bring you six models that could make an impact on the Indian car space. Needless to say, buyers will get to choose from a plethora of options. Here’s a look at what we call ‘the super six’ cars to look forward in 2019. With the launch of 45X, Tata will make an entry into the premium hatchback segment. This new car follows Tata’s new Impact 2.0 design philosophy, which makes the car seem a part of a sci-fi movie set. Another talking point of the vehicle is the touchscreen infotaimment system. The 45X will in all probability have a 1.2 litre turbocharged petrol and a 1.5 litre turbocharged diesel engine under the hood. 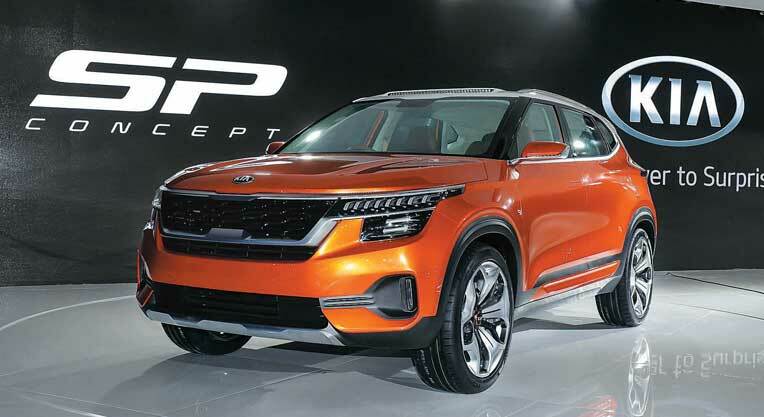 The Korean car maker enters the Indian market with an offering that will take on Hyundai Creta and the Renault Captur. The concept is expected to share its machine and some other mechanical features with the same. It implies that the engine options are likely to be a one litre turbocharged petrol and a 1.6 litre turbocharged diesel, Kia’s signature feature. Tiger nose grill will get a modified look for the Indian market. Throw in large LED headlamps and we have a beauty to reckon with! Riding high on the success of its entry level hatchback, the Kwid, Renault India will be launching its MPV version of the Kwid. The car is expected to seat at least seven people. Electric cars are the future and Mahindra has been making serious inroads in that area. This is their third offering in the electric passenger vehicle system aptly named KUV 100 Electric. The car will look similar to the standard KUV 100, with some minor changes. It will be able to drive up to 140 kms in a single charge and also comes with a fast charging facility that will recharge 80 per cent of the battery within 90 minutes! Future S positions itself between Ignis and Brezza and comes with a fresh and compact design language that is different from what we have seen earlier. It looks impressive even though it measures less than four meters and has the bold presence of a SUV in a uniquely styled compact car. It will be initially offered only with a petrol engine. We can be sure that it will be a head-turner!